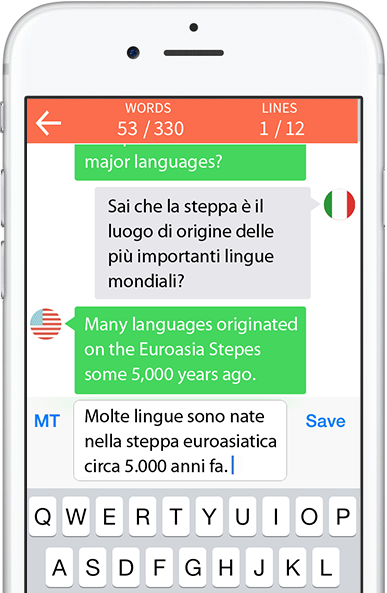 Stepes is a patent pending technology that unlocks convenient and accurate translation services not yet witnessed from a mobile device. Headquartered in SF, the world’s technology hub, with global presence in China, Japan, Germany and 14 international locations. Transforming the way the world communicates. By seamlessly connecting businesses and individuals with the world’s linguists through our on-demand translation eco-system, we help break down language barriers between businesses and their customers, and among nations and people. Stepes stands for Social Translation Experiment Project and Eco System and also refers to the Eurasian steppes, where the world’s 400 major languages originated from some 5,000 years ago. It’s a technology initiative by the award winning localization firm CSOFT International. Recent studies have found that more than 400 of the world’s major languages and dialects including Germanic, Slavic and Romance languages as well as classical Sanskrit and languages of the South Asian subcontinent originated on the Eurasian Stepes (also spelled Steppes) some 5,000–6,000 years ago.